Guests at the Clarion Hotel Stockholm said using an NFC-enabled phone to check in, enter their room and check out made their stay more pleasant, saved time and inspired them to use the service again. A survey of participants in the world’s first trial of using NFC phones to replace hotel room keys has found that almost all the guests would use NFC keys for their hotel stays if the technology was available today. 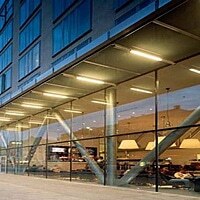 The pilot at the Clarion Hotel Stockholm began in November 2010 and was organised by physical access control giant Assa Abloy, Choice Hotels Scandinavia, mobile network operator TeliaSonera, hotel door key specialists VingCard Elsafe and Giesecke & Devrient‘s TSM solutions unit Venyon. Some thirty frequent guests at the hotel received an NFC-enabled Samsung S5230 mobile phone. They could then book their hotel room in the usual way and receive confirmation on the mobile phone. Ahead of their arrival at the hotel, they received a welcome message and a reminder to check in to their room via their mobile phone. Once checked in using an app on the phone, their hotel room key was sent to the device over-the-air, enabling them to go straight to their room without checking in at the front desk. At the end of their stay, guests checked out with their NFC phone by touching it to RFID tags located around the hotel or via the mobile key application on their handset. The digital hotel room key stored in the phone was then automatically deactivated. Not having to wait in line at the reception to check in and check out was highly appreciated by all participants. Almost all of the guests said that they saved time by not having to check in at the reception, with more than half adding they saved 10 minutes or more. Almost all of the participants would use mobile keys for their hotel stays if NFC-compatible cell phones were widely available today and their phone supported the service. Significantly, Assa Abloy says a broad majority of the guests claimed the service made their hotel stay more pleasant. When asked what other NFC applications they believed would be useful, most of the guests earmarked paying for food, drink and hotel services. A majority also said getting information about the hotel and hotel services such as a map, room service menus, the spa and gym and information about restaurants, bars and public transport were of value.